The TVM will be launched on August 30, 2018, by when TRON will also have completed its MainNet upgrade. 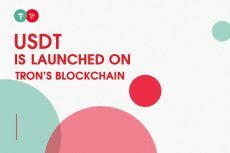 TRON already launched its beta version of TVM on July 30. The founder of TRON Justin Sun released an open letter to the community on TVM beta launch. The letter stated that TRON will complete its MainNet upgrade by August 30 Singapore Time and official launch its TVM by then. Justin referred the official TVM as “safer and more reliable”, which triggered discussion inside the circle of cryptocurrency. In August, TRON provided a sandbox environment for their global community to carry out testing and vulnerability mining. Based on the testing feedback, appropriate adjustments were made to the virtual machine. In the meantime, the community has initiated a poll to solicit views from the Super Representatives (SRs), and reached a consensus. Finally, the community united all SRs to initiate the upgrade process. By learning from feedback for a month, the TVM beta version has been further upgraded. Soon TRON will launch the TVM official version as scheduled. As a lightweight, Turing complete virtual machine, the TVM will provide an efficient, simple, stable and secure system which is specially tailored for blockchain and easy to upgrade. From a cautious green hand in the blockchain industry to a buoyant player in the bear market, TRON has shifted its role from a beginner to a contributor. 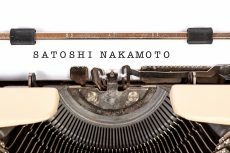 The cryptocurrency industry went through a rough ride in July, indicating a bear market. Sluggish crypto prices have come hand in hand with the bear market. Many newly emerging blockchain projects have been faced with risks of back to square one. However, the end of a bear market promises price recovery. After a long bubble period, the market is starting to regain rationality and crypto prices are going to be determined by value again. In the bear market, TRON remains buoyant. The launch of the official TVM is undoubtedly a milestone of TRON’s development. When Ethereum entered a stagnating phase, TRON, on the other hand, made significant leaps forward with a series of groundbreaking actions. Starting from April, 2018, TRON introduced numerous rewards program and got listed at prestigious exchanges around the world. Meanwhile, TRX became more widely acknowledged as a payment method and was implemented in various application scenarios. Developers will be able to use mainstream development tools such as TronStudio, TronBox, TronWeb and wallet extensions of the explorer to develop DApp in TRON network. DApp application on a large scale requires a large number of users on the public chain. To attract more DApp developers, the most important prerequisite is to provide convenient, efficient and easy-to-use development tools, documentation and tutorials. This is the most critical part in DApp ecosystem construction. As we all know, Ethereum has been working in this area for a few years, and has perfected the development tools, documentation, and tutorials, and finally developed the unique EVM. Since TRON launched its public chain MainNet, it has also given top priority to the development of a virtual machine, in a bid to attract more developers. Keeping up the momentum, TRON started to pursue a higher goal – developing its own virtual machine. So far the TRON team has successfully built a virtual machine framework, which is compatible with the EVM and many other virtual machines. This is why the TVM is unique and better than the EVM. The TVM is not only compatible with the EVM, but faster and more affordable. TRON is very considerate of the developers, in that the TVM is compatible with the EVM and allows DApp developers to migrant from the EVM to the TVM almost for free. TRON has been working on reducing resource consumption and costs, as well as upgrading the compiler and instruction set. Through compiler upgrading, code implementation in TRON is now faster, more efficient and consumes less resources. 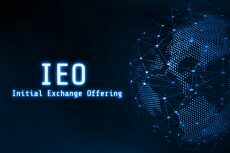 Through instruction set extension, functions including voting, freezing and trading can be implemented conveniently in the smart contract code. TRON has devoted great efforts to provide a convenient, efficient and easy-to-use development environment for developers, and comprehensively upgrade development tools, third party tools and engine tools. 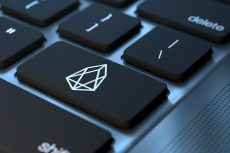 TRON provides basic tools like TronWeb and Tronscan for developers to debug more conveniently in the emulated local environment; TRON provides documentation and tutorials in full texts to help developers learn quickly how to develop DApps and use development tools; TRON also cooperates with providers of game engine tools to implement unique features. Above all, one thing is for sure: TRON is a down-to-earth team even in the bear market. This is a time of both challenges and opportunities and the market will return to the value-determines-price model. Hopefully TRON will bring successful innovations to the whole industry.